Before going in, i asked one of those cops, “So is this place good?” “Best sandwich in Tacoma” was his reply. We’ll just see. I decided on the meatball sandwich. It was LOADED with meatballs. And I’m not kidding, as you can see. And they were damn good meatballs — nice and tender, well seasoned. And it had provolone. You can’t go wrong with that. I ate it all. And I would order it again. For my brother, the club. A typical club. But it had sprouts. Can’t get enough of those. And BACON. And AVOCADO. Okay, so it rocks. For my dad who we were bringing lunch, Mike’s Deluxe. 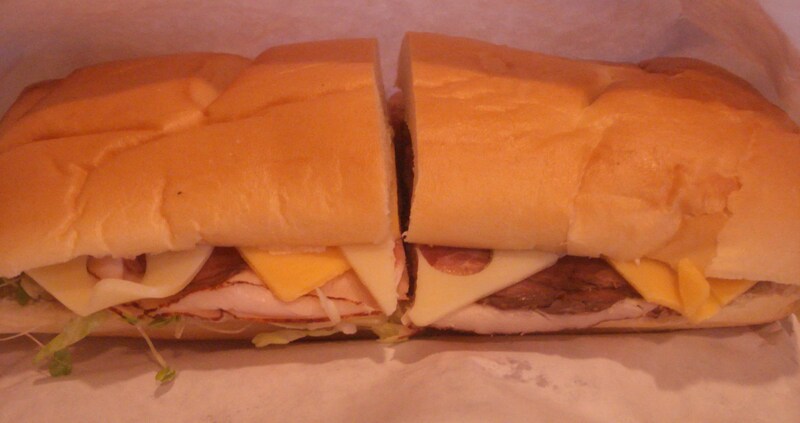 Okay, this sandwich was HUGE. I mean, the other two were big. But this one, huge. And it’s loaded with good stuff. Definitely enough to feed two people. 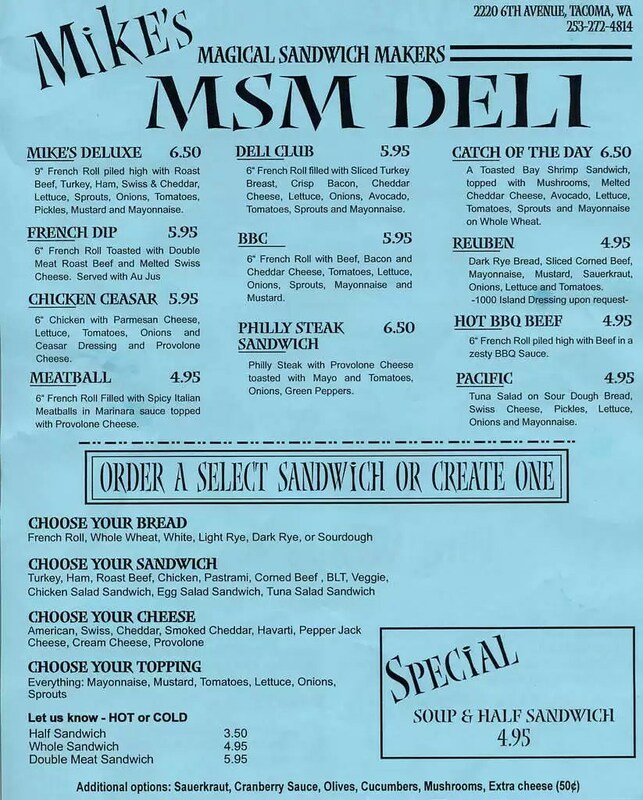 Perhaps the best part about MSM: the prices. Mike’s Deluxe was only $6.95 and it’s enough for two. 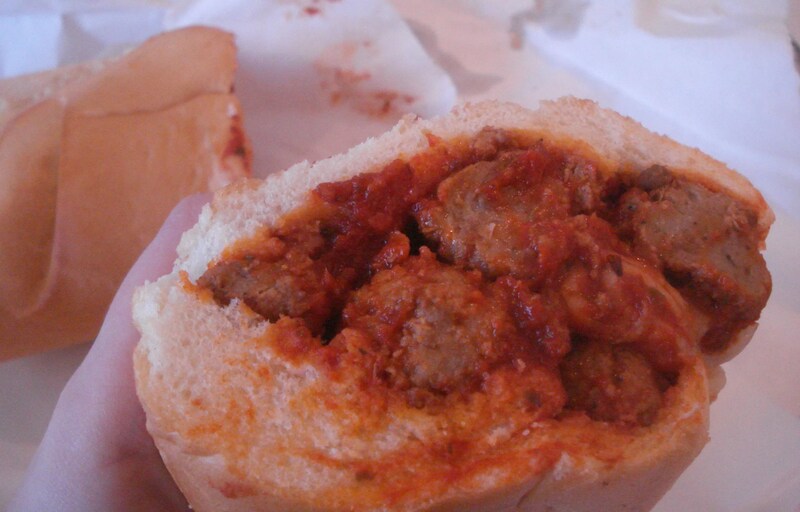 The meatball: $4.95. I know, I can’t believe it either. The club: $5.95. 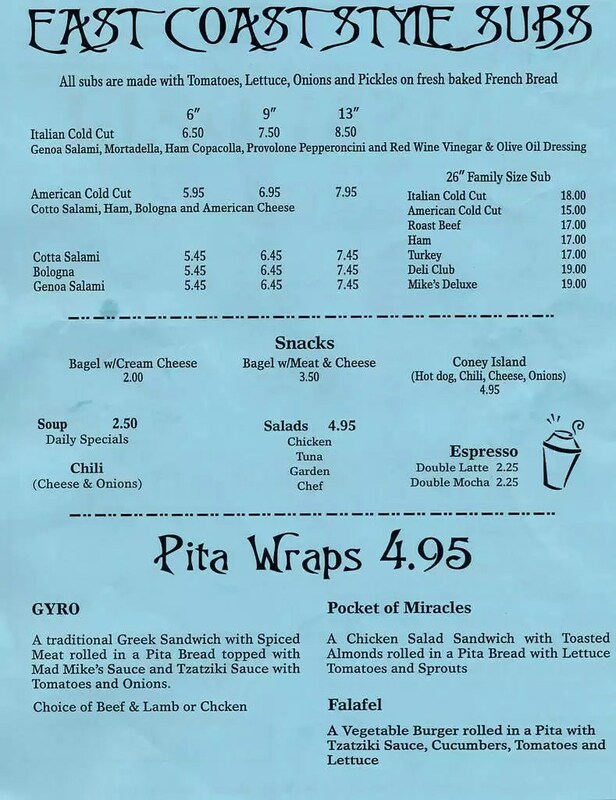 These prices beat any old chain (Subway, Quiznos) in quality, for sure. And in some ways, price. I boycott Subway and Quiznos because they don’t have avocado and that’s practically sandwich sacrilege, in my opinion. Here’s the menu, courtesy Urban Spoon. This is just down the street from me!! 🙂 I live off 6th Ave closer to Mildred. 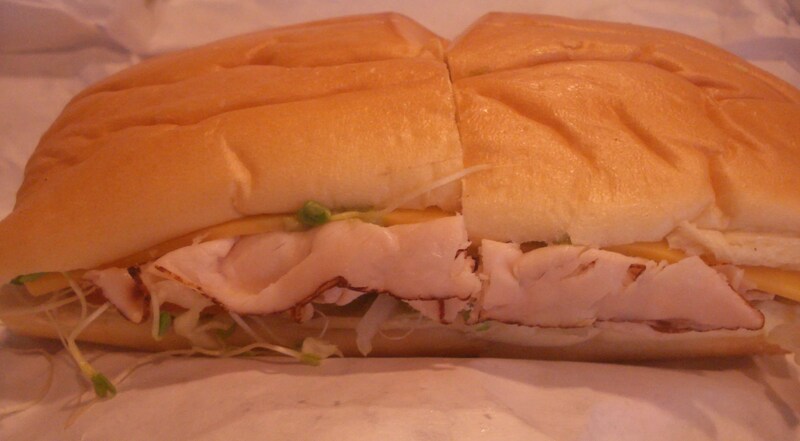 I have cravings for a Mike’s Deluxe about once a week! They are so good! In the early 80’s Stadium Deli was the best. Eventually, change of ownership was it’s demise. Thank goodness MSM stepped in to fill the deli sandwich void. Just as good, if not better, than SD. Touchdown Tacoma!!!!! !